Karin Salvalaggio’s third book, Walleye Junction, has recently been released. This continues the series of novels featuring Detective Macy Greeley and like the others books she has written, Walleye Junction presents some of the best plotting and characterization the crime fiction genre has to offer. Karin Salvalaggio is an author who is not afraid to take risks. 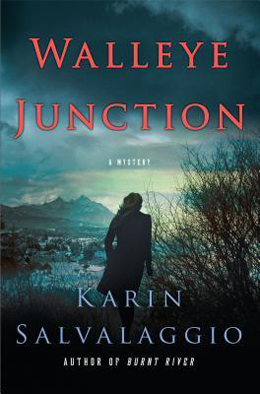 Whereas most authors would have started their novel with the kidnapping which is central to the plot, Karin chooses to start Walleye Junction in media res – right in the middle of the failed rescue attempt. 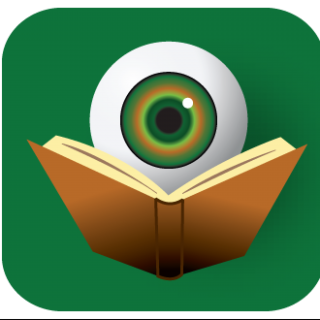 Dropping readers in the midst of this high drama moment ensures their attention and forgoes the slow-build to the climax seen in other genre titles. But this was not only a decision made to capture attention; the actions that led to this moment are less important than the ramifications of what happens in the wooded outskirts of town on that early morning. As readers will expect, the backstory is doled out in smaller chunks as Macy’s investigation of the kidnapping progresses. The victim is controversial radio personality Philip Long; but unlike her superiors, Macy is not convinced the crime had anything to do with his high-profile radio segments condemning militia groups. When she stumbles upon evidence that Philip has uncovered a bigger story, she widens her net of suspicion – and risks being dragged down with it. Philip’s death necessitates the return of his daughter, Emma, to Walleye Junction. Emma fled the area in her youth after the death of her best friend and confidant. The familiar surroundings and the stress of her father’s murder bring to the surface some long-buried memories and a truth she may not want to know. Meanwhile Macy is dealing with drama on the home front as well. Still processing the revelations about her ex, she is tentatively attempting to move on with her life. Concerns about her son’s well-being and good-hearted interference from her mother, along with an increasingly complicated caseload, leaves little time for Macy to process her own feelings. Montana is an unusual setting – especially considering that Karin Salvalaggio is an author based in the United Kingdom – but across this series, readers have come to understand the geographical and economic issues plaguing the area. With Walleye Junction, Salvalaggio continues to unearth the challenges facing the citizens of the state and beyond. Walleye Junction incorporates many hot-button topics from contemporary society. First and foremost is the proliferation of prescription drug use among the general populace. Tied to this is the increase in heroin addiction and criminal activity. Also a factor in this story is the small-mindedness found in rural populations when faced with exposure to alternative sexual orientations. Trust Karin Salvalaggio to approach these subjects in ways that will shed new light on the topic. Walleye Junction and all of the Macy Greeley novels are perfect for fans of strong female characters, compelling plots, and mysteries based on real-life issues facing society. If you are reading Laura Lippman, Val McDermid, and Rachel Howzell Hall regularly, you should be reading Karin Salvalaggio as well.